Kalyani I., Gardilla, M.D. Kalyani I., Gardilla, M.D. She did her undergraduate training and received a Degree of Bachelor of Medicine, Bachelor of Surgery, MB, BS, University of Health Sciences Kurnool Medical College in India. She worked as a research assistant from 1996 to 1998 at Lincoln Medical and Mental Health Center in the Bronx, New York. Dr. Gardilla did research work in the United States in Gastrointestinal Immunology from 1998 to 1999 at the Columbia University of Physician and Surgeons, St. Luke's Roosevelt Hospital Center in New York. She passed the USMLE examination for foreign medical graduates. She then completed a 3 year residency in Internal Medicine at Wright State University in Dayton, Ohio in June 2002. Dr. Gardilla is board certified by the American Board of Internal Medicine. She is a member of the American College of Physicians, American Society of Internal Medicine. She is interested in computerized patient medical record systems, evidence based medicine and the use of the internet to enhance medical care. Dr. Gardilla is a USCIS Certified Civil Surgeon who performs Immigration INS 693 Medical Exams. 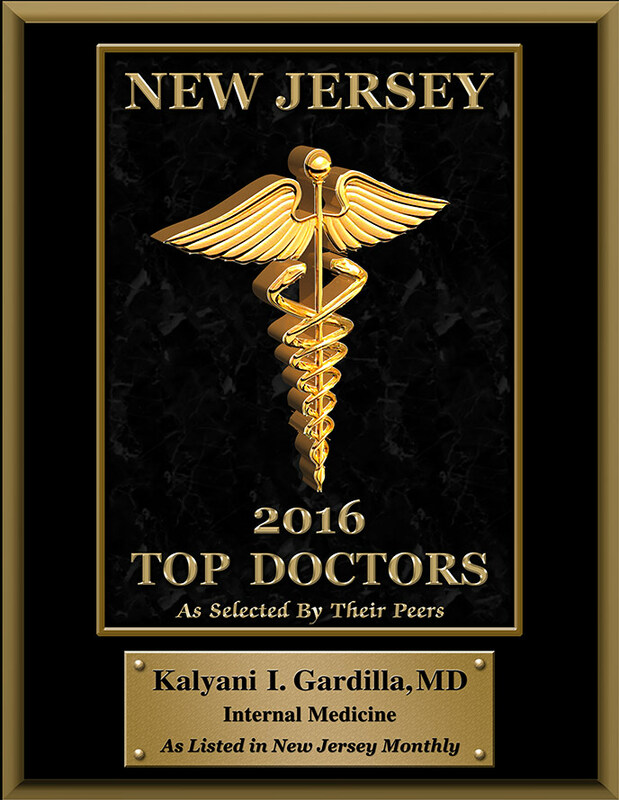 Dr. Gardilla is one of New Jersey Top Docs for 2013, 2014, 2015 and 2016!